Although it seems like furniture removals can be completed by yourself, it is a deceptively difficult task. Moving larger furniture like a corner sofa or a set of dining chairs is time consuming and tiring, so it is a good idea to hire the services of a professional furniture mover. Learn about furniture removal companies here. Before choosing a furniture removal company, it is important to get a general idea of the average price for their services. The price of furniture movers depends on many factors such as the distance, the type and amount of furniture to be transported, as well as additional delivery options. On average, transporting furniture for a journey less than 50 kilometres costs €2.00 per kilometre. For longer hauls, the average cost drops to €0.45 per kilometre. The table below shows the prices of moving different kinds of furniture various distances. The cost of moving furniture can vary greatly depending on distance, extra delivery requests, and the furniture itself. With many options, you have the opportunity to save on your furniture removal by comparing prices of companies operating in your area. To avoid incurring unexpected costs, it is in your best interest to request a quote. Fill in the form and within 24 hours, you will receive up to 6 quotes from furniture removal companies showcasing their best offers! The companies will provide you with detailed estimates catered to your needs, including packing, transport, assembly, and clean-up. Furniture movers specialize in packing, loading and unloading, and assembly of furniture articles. The company handles the packing of furniture, which involves disassembly, protective wrapping, and boxing up of articles. The movers oversee the loading and transporting of your furniture, using blankets, furniture pads, straps, and other moving equipment to ensure your furniture survive the journey in perfect condition. 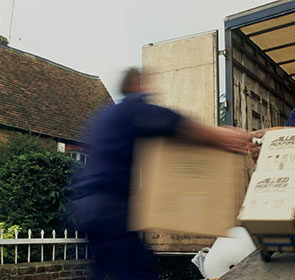 Removal companies may also offer clean-up and storage services. If you are unable to move into your new home immediately and need a place to keep your furniture in a safe, secure space, furniture removers offer the perfect solution for your storage needs. Depending on your needs and budget, furniture removal companies offer different kinds of service that vary according to the level of assistance provided. Room to room removals – This is transport that comes with full service assistance. The movers pack up your belongings, carry them through your hallways to load into the van, and place the furniture in their designated room. This option take all the hassle away from your move. 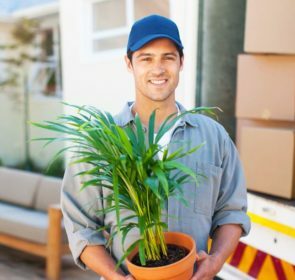 Courier or door-to-door – In this form of service, the movers load your furniture onto the van once the items have been made available at your front door then move it to your new property. Rental services – This involves renting a truck and hiring movers to help with loading and transport. This incurs additional costs since you must purchase packing supplies and complete the packing yourself. To be successful, read our removal van page to learn about the different type of vehicles and their respective advantages. Part Load – If you have a smaller batch for transport, movers will combine multiple customers’ loads on one shipment. This allows for great time and cost savings; savings that are passed onto you so it is perfect for when you want to move a few furniture pieces and are not pressed for time. Whether you need to relocate pieces of furniture to your new home or deliver articles you have bought or sold online, removal companies are the best choice. Hiring a furniture removal company allows you to fully customize the level of service based on your situation. Moving furniture is a tough task that gets more difficult the larger the items you need to move. It requires plenty of planning and so it takes time; time that you should be spending on more important matters such as preparing your new home, looking for new schools, and adjusting to your new neighbourhood. Movers deal with the furniture transport on your behalf, freeing up your time for the move as well as your day to day affairs. If you have sold a piece of furniture on an online marketplace, removal companies ensure that the article arrives to your customer on time, removing the hassle of delivering the package yourself. 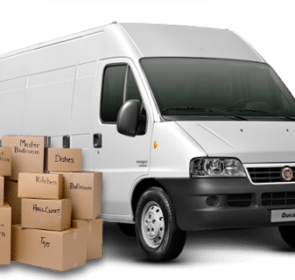 Why go through the ordeal of packing, loading, and transporting by yourself? Asking friends and family to help carry heavy furniture is tiring for everyone involved. On top of that, the pressures of a move combined with your daily routine of juggling work and kids make for an incredibly stressful few weeks. Professional furniture movers lift this weight off your shoulders, ensuring that your move is as easy and relaxing as possible. Your pieces of furniture are prized possessions and so of course you would like them to arrive safely to your destination. Rather than risking damage to your items through improper loading, let movers handle your possessions with care and expertise. Removalists use specialized equipment and methods to protect your furniture, ensuring that your belongings arrive unharmed. With extensive insurance coverage, removal companies also provide compensation for loss and damage, giving you the peace of mind you deserve. The house moving process takes a lot of planning, and choosing the right removal option for you is not always easy. However, if you send a quote request by filling in our form, you will receive 6 price offers by 6 moving companies. In only 1 minute, you will see the various options available to you, save up to 40%, and find the mover with the greatest value for your money.